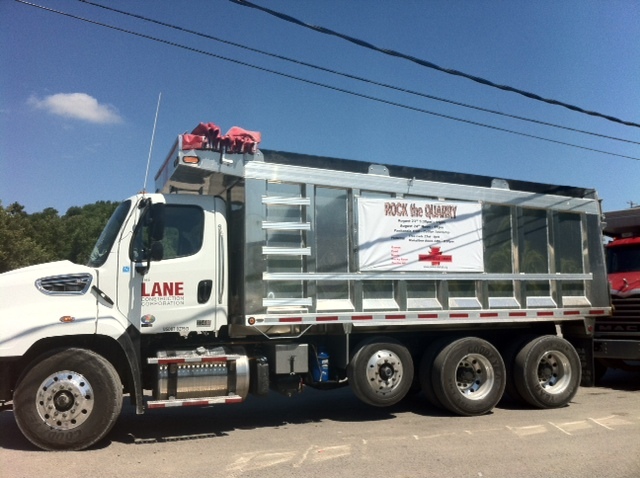 Thanks Lane Construction for RTQ Support! Thanks to Lane Construction for sending this photo! They’ve posted this banner on three of their trucks to help advertise RTQ. This entry was posted in panhandle trail events, rock the quarry and tagged collier township, lane construction, panhandle trail, rock the quarry. Bookmark the permalink.